Wild Toro Online Slot: Sticky Matadors with Respin Features and a Bull that Leaves a Trail of Wilds! 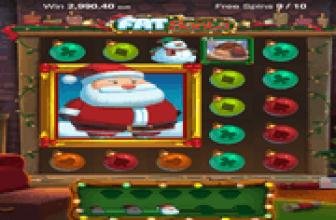 Wild Toro by Elk Studios furnishes 178 ways by which matched icons land as winning combinations after a base spin or bonus respin. Depicting a Corrida de Toros or bullfighting event, the game awards respins whenever three Matador icons come into view. However, the Matador Respin could end abruptly once a Toro Wild is in sight, as the bull's emergence highlights the bullfighting-theme to the hilt. The Toro goes wild, attacking all Matadors in view after a spin. The event though could prove beneficial to Wild Toro slot players as the raging bull leaves a trail of Wild Symbols while traveling from one position to another. The Wild Toro (WT) Game Logo represents the regular wild card that can substitute for any regular-paying symbols. Any of the 5 reels may return with a WT Wild Symbol after a spin, or during the “Toro Goes Wild” event. The Bull/Toro Walking Wild – The image of the Bull or Toro is a special wild card. It is configured to emerge only in Reel 5. Once the Toro is in sight, the icon initiates the “Toro Goes Wild” Feature. The event is triggered by the Bull Walking Wild's emergence in Reel 5. The special icon starts advancing vertically, as its first goal is to attack any Matador positioned in Reel 5. After the Reel 5 advancement, the Toro will set its sight on attacking Matador icons positioned in other reels after each spin. The Bull Walking Wild treks reel paths horizontally and then vertically in order to reach a targeted Matador in a reel. The “Toro Goes Wild” event continues in the succeeding spins until it reaches Reel 1, attacking any Matador icon that emerges as spin outcome/s. The results of the bull's wild rampage will prove to be beneficial to slot players as the trail of multiple Wilds created by the Toro Walking Wild will likely create more than one winning combination. Once the Bull Walking Wild reaches Reel 1, and if the spin that brought the Bull to the first reel did not produce a Matador icon outcome, the “Toro Goes Wild” event ends. This denotes that even if the Bull Walking Wild is already in Reel 1, the Bull will carry on with the attacks for as long as Matador icons keep appearing as spin outcomes. The trail of Wild Toro Symbols likewise continues to appear during the Bull Walking Wild's travels from reels with Matador images to a Reel 1 position. The Matador image emerges exclusively in Reels 2, 3, and 4. When all three designated reels return with a Matador icon in any reel position, a Wild Toro slot player will be awarded with a free respin. The Matador icons on the other hand remain locked in position during the free turn. The respin feature continues if at least one new Matador icon comes into view. Recurring respins could likely result to a Matador-filled slot screen as every new Matador will also remain locked in place. Not unless, a Bull Walking Wild icon emerges in Reel 5, because the beast will kick out any Matador appearing as spin outcome. Wild Toro : Superb and Entertaining Bullfighting-Themed Online Slot! 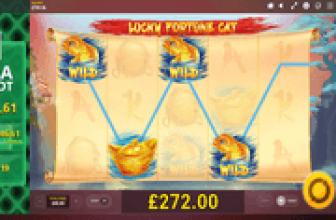 Wild Toro online slot by Elk Studios, furnishes 178 ways to win in a reel-spinning game configured w an exciting Matador icon that triggers a Respin and a Toro Walking Wild Symbol that advances positions, whilst leaving behind a trail of Wild Symbols.